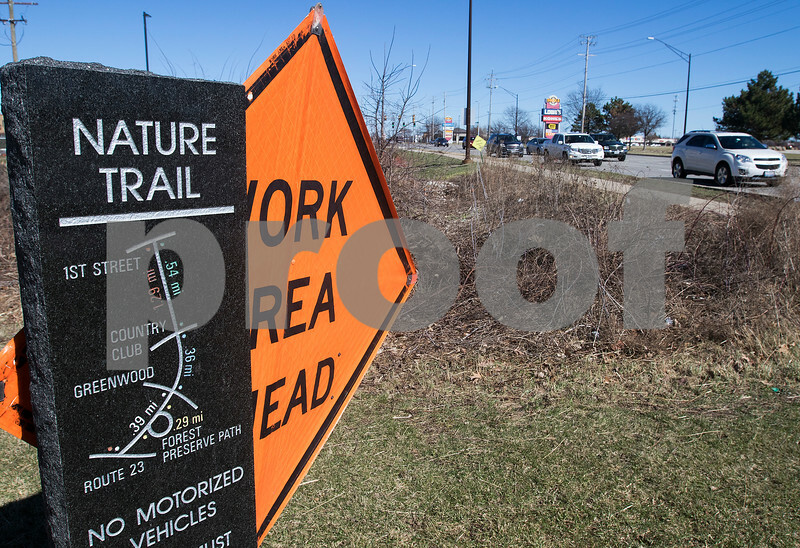 Cars drive by on Sycamore Road, where a sign informs of work being done on the DeKalb Nature Trail. Trees are bing cut along a section of the DeKalb Nature Trail between Sycamore Road and First Street on Tuesday, Mar. 7, 2017 in DeKalb. The trees are being cut by Asplundh for ComEd along the power lines adjacent to the trail.